One of the perks of pro staffing for Orleans Boat World, Evinrude and Ranger Boats is getting the opportunity to test pre-release innovations like this new E-TEC G2 150 hp outboard. 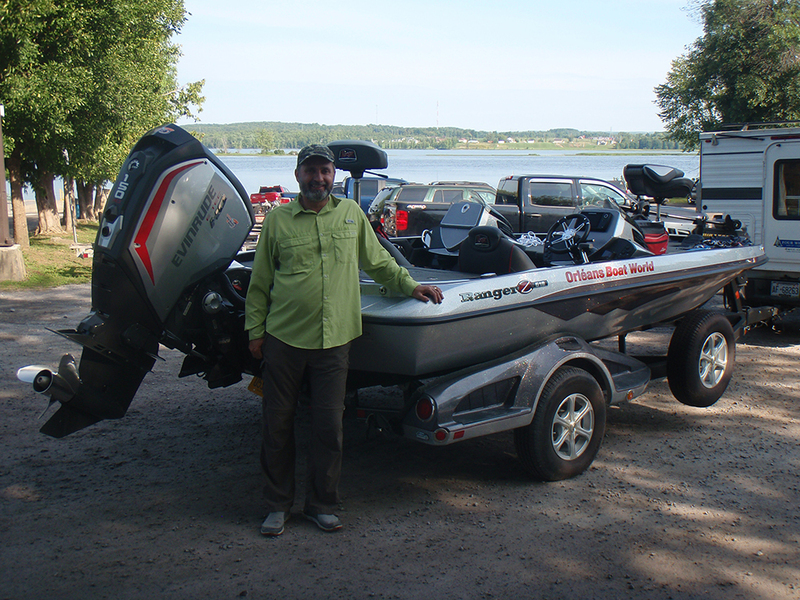 Hung on the back of a 2017 Ranger Z118 bassboat, it was a match made in heaven. Fellow anglers rest easy, insurance adjusters back down. As tempting as it was to take a turn operating the boat, it was my buddy Jason Cox who did all the driving. 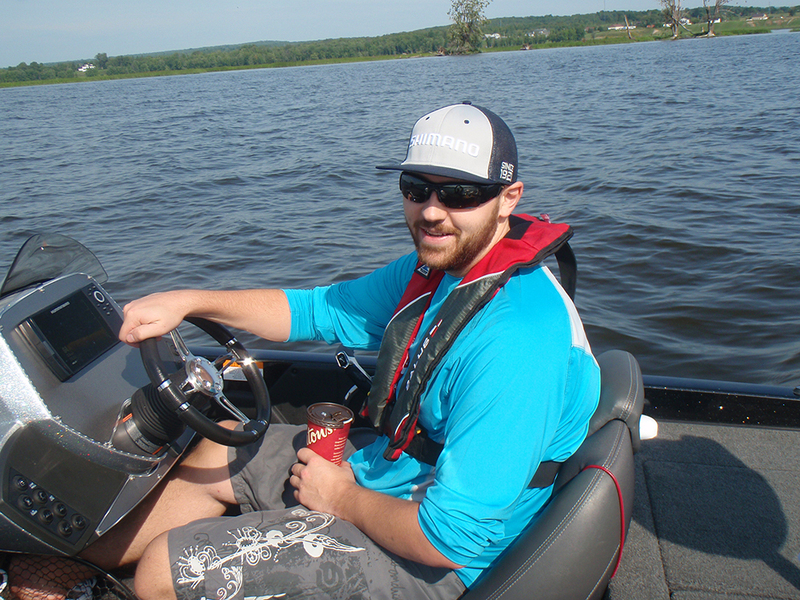 The last thing anyone wants to hear about is a blind guy piloting a bassboat on the Ottawa River at 60 mph (LOL). However, I can report that the throaty growl of this motor between 2000 and 4000 rpm is truly impressive. High performance all the way. Engine volume does taper off quite nicely making it easy to talk at rpm’s over 4500. Having owned 250 hp E-TEC’s for the past four years, I was also more than surprised just how much seat-pinning power this new 150 E-TEC puts out. No sleeping dog for sure. This is my second year running a 250 high output G2 E-TEC. Prior to the G2, I ran Evinrude’s E-TEC for seven years. Everything from a 115 hp on up. What amazes me is the fuel efficiency of the new G2 motors. There have been plenty of occasions when we put in under $10 in gas to top up the tank following a day of fishing. Not only are the new Evinrude G2 outboards easy on the wallet, but the environment too. It may be a 2-stroke motor, but through continuously regulated oil injection, it’s the cleanest burning outboard on the market, and that includes the 4-stroke competition. So, while my boat and motor may be big and fast, it can do it all with little negative impact. It’s nice to know I’m safe on the water, and that I’m not leaving behind a mess for the fish to put up with.